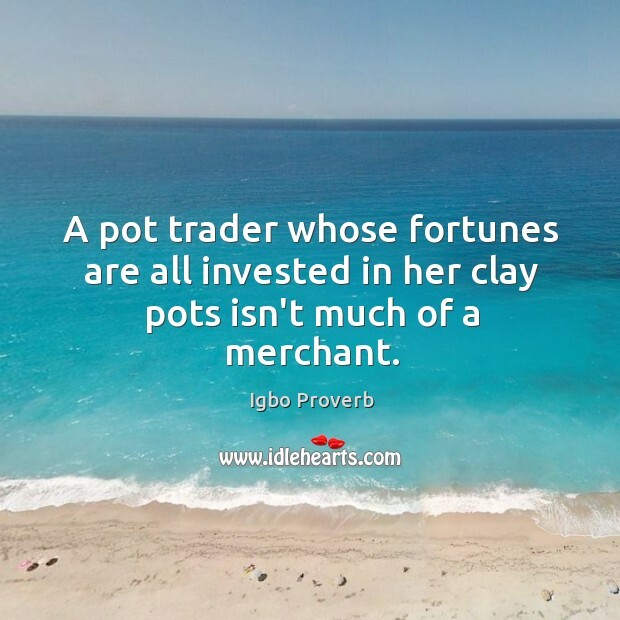 Collection of famous Igbo proverbs, true sayings and wise words. Use words and image sayings to keep you moving forward! 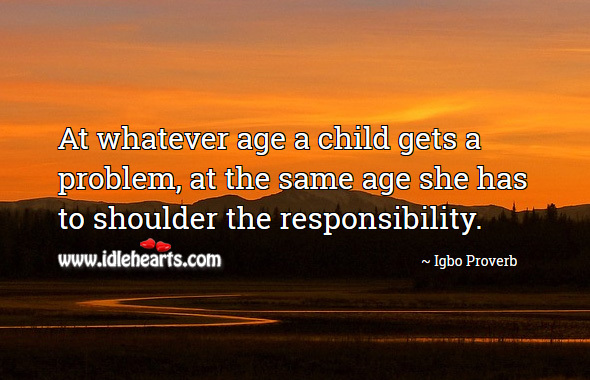 At whatever age a child gets a problem, at the same age she has to shoulder the responsibility. 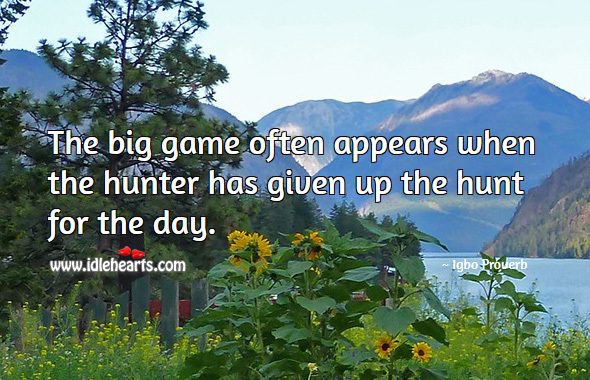 The big game often appears when the hunter has given up the hunt for the day. 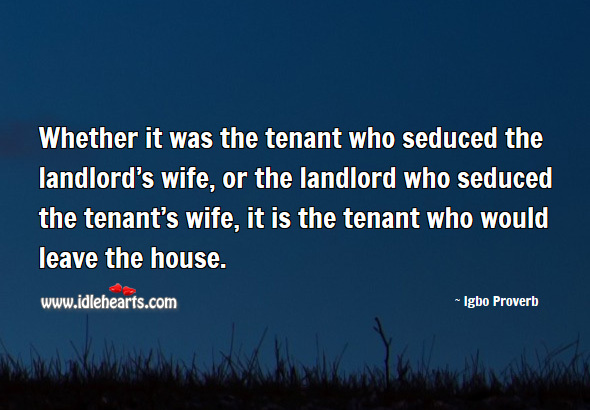 Whether it was the tenant who seduced the landlord's wife, or the landlord who seduced the tenant's wife, it is the tenant who would leave the house. 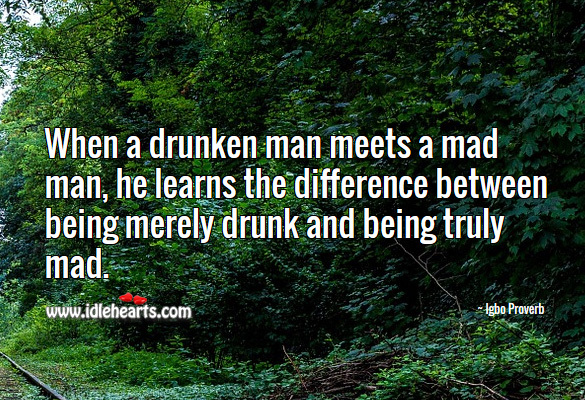 When a drunken man meets a mad man, he learns the difference between being merely drunk and being truly mad. 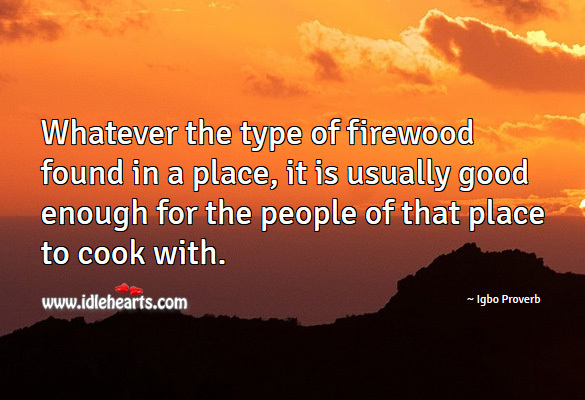 Whatever the type of firewood found in a place, it is usually good enough for the people of that place to cook with. 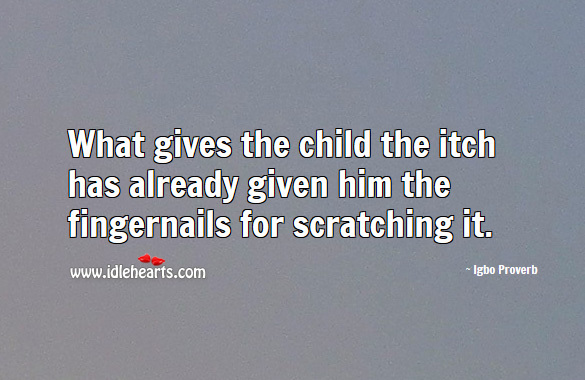 What gives the child the itch has already given him the fingernails for scratching it. 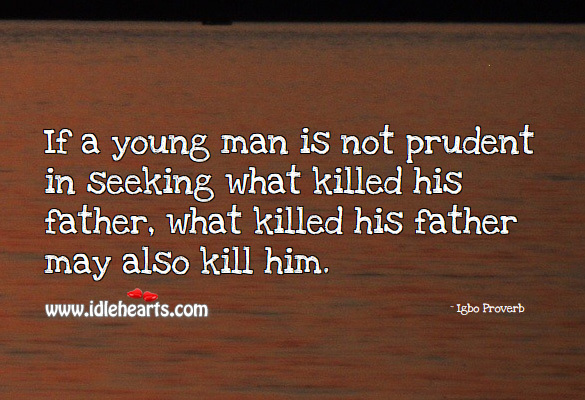 If a young man is not prudent in seeking what killed his father, what killed his father may also kill him. 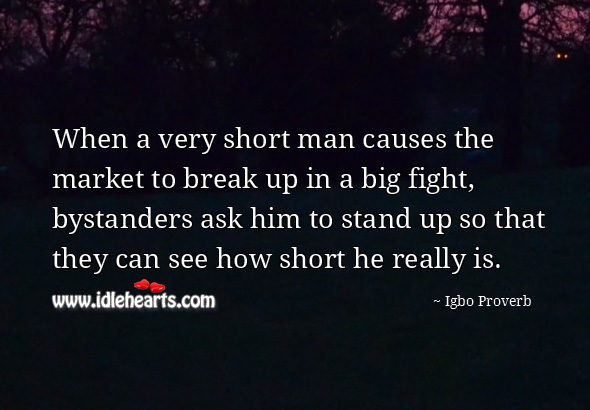 When a very short man causes the market to break up in a big fight, bystanders ask him to stand up so that they can see how short he really is. 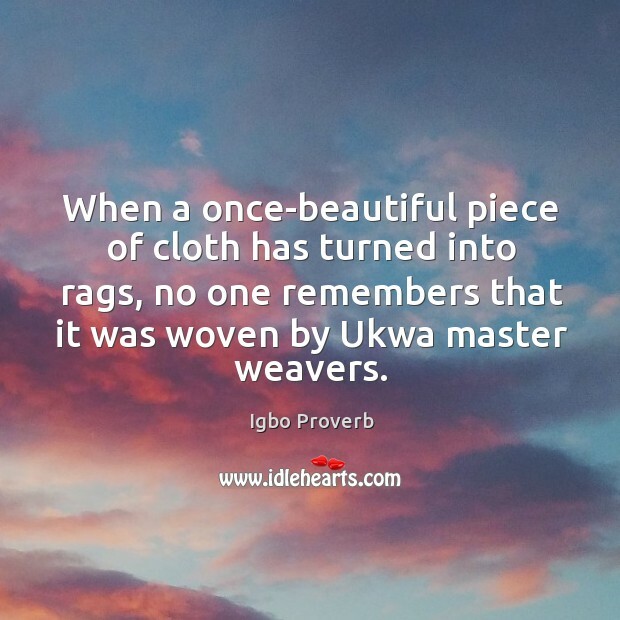 When a once-beautiful piece of cloth has turned into rags, no one remembers that it was woven by Ukwa master weavers. 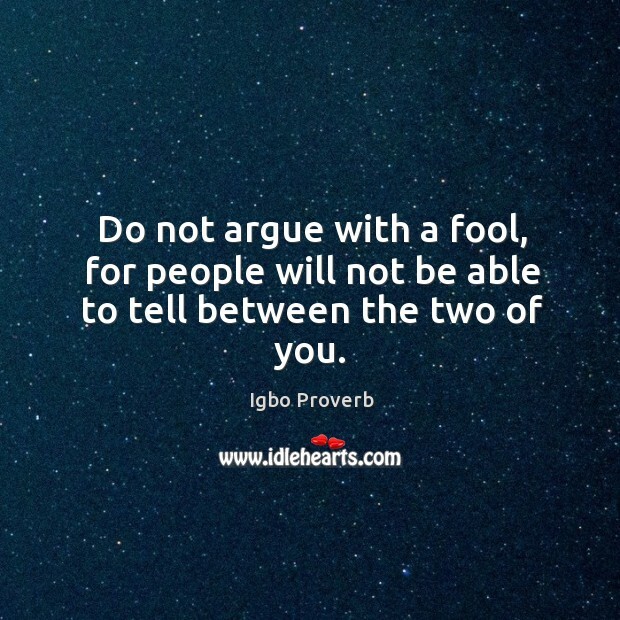 Do not argue with a fool, for people will not be able to tell between the two of you. 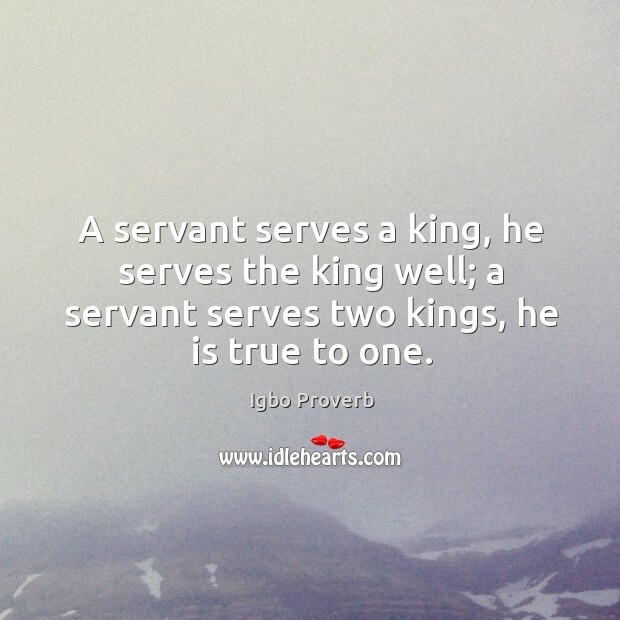 A servant serves a king, he serves the king well; a servant serves two kings, he is true to one. 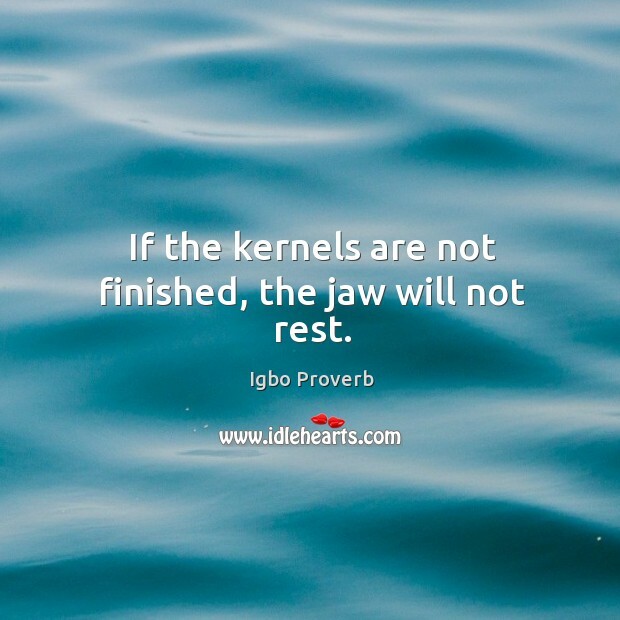 If the kernels are not finished, the jaw will not rest. 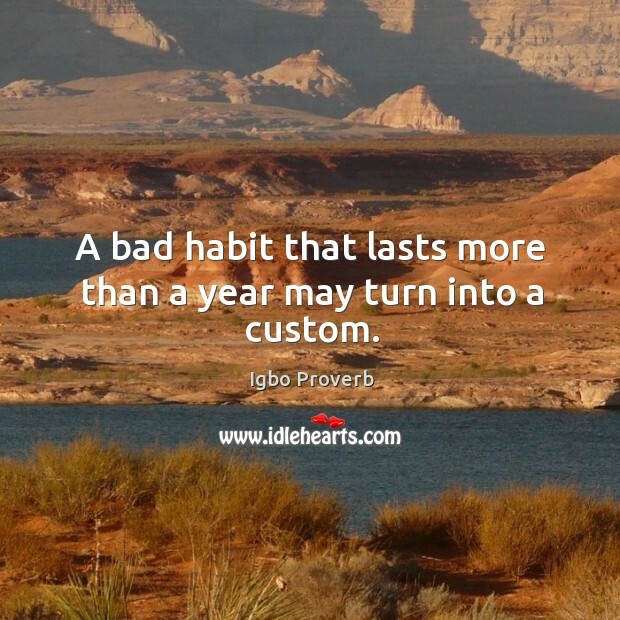 A bad habit that lasts more than a year may turn into a custom. Everyone cut the grass. Cut the grass. 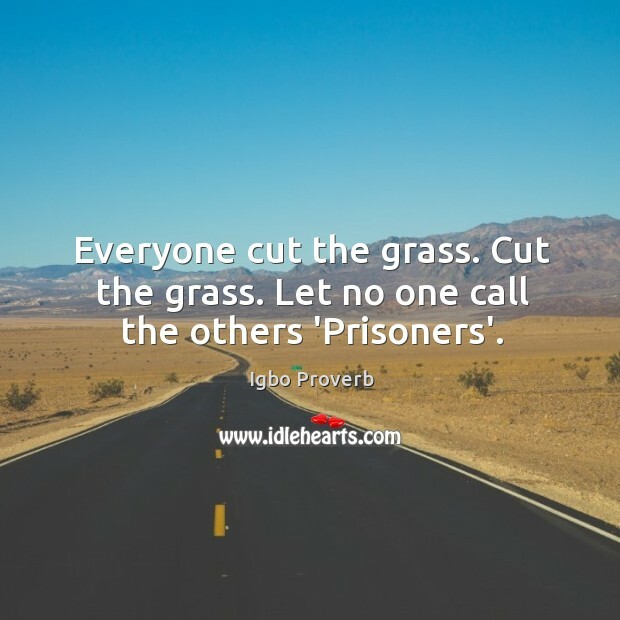 Let no one call the others 'Prisoners'. 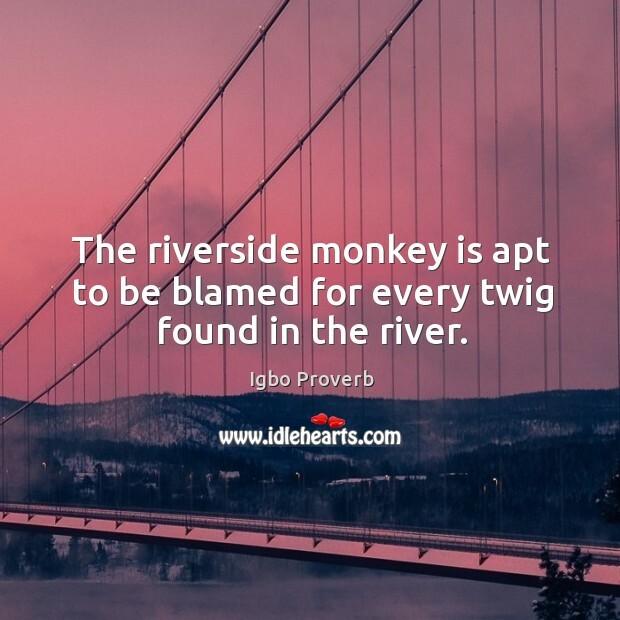 The riverside monkey is apt to be blamed for every twig found in the river. 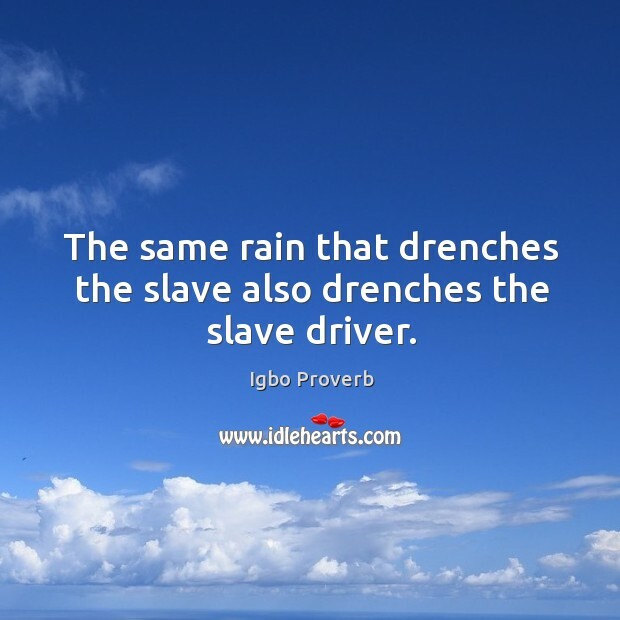 The same rain that drenches the slave also drenches the slave driver.